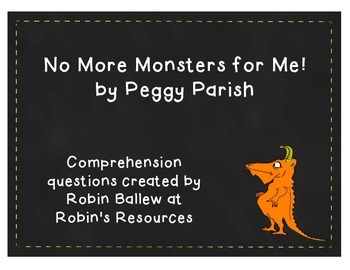 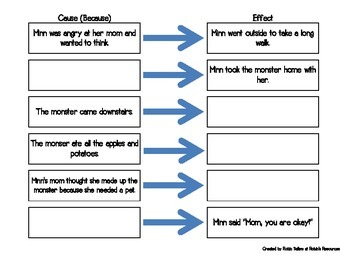 This packet contains 20 open ended questions, a Venn diagram, and a cause/effect worksheet based on the story No More Monsters for Me by Peggy Parish. 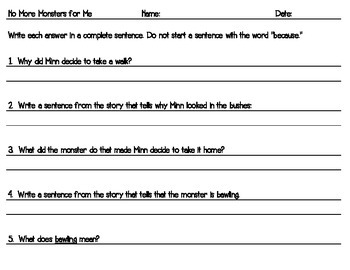 There is no answer key included since many of the questions could have more than one correct answer. 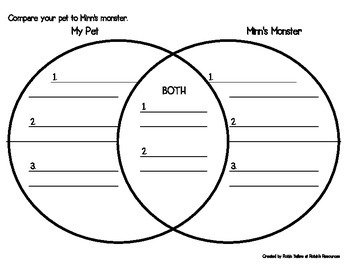 I hope your students enjoy using it with this cute story about a girl who desperately wants a pet and solves her problem in an unusual way.